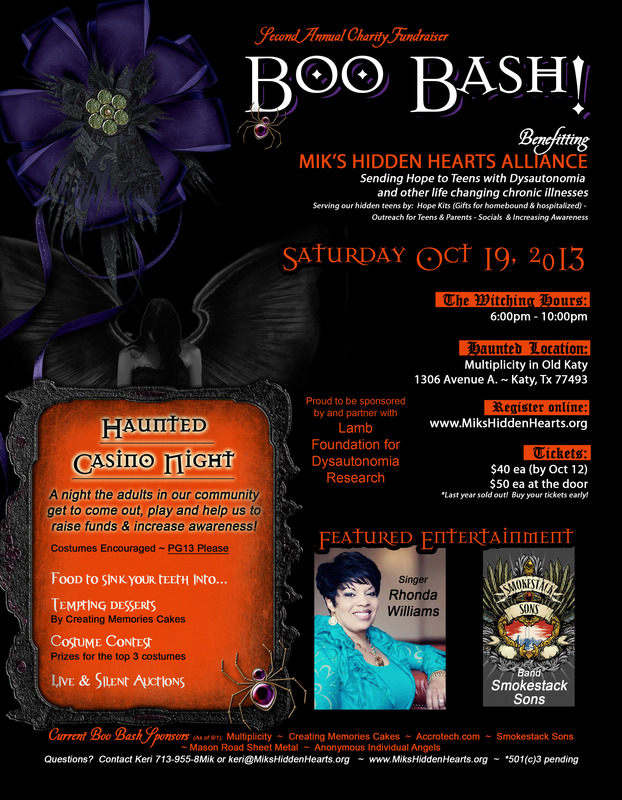 ‎Mik’s Hidden Hearts Alliance for Dysautonomia Teens first annual Boo Bash, held on Oct 23, 2012 raised over $10,000 to go towards Hope Kits for homebound and hospitalized teens, as well as for Dysautonomia Awareness programs!! You will find MHHA in the December issue of Katy Lifestyle and Homes Magazine! 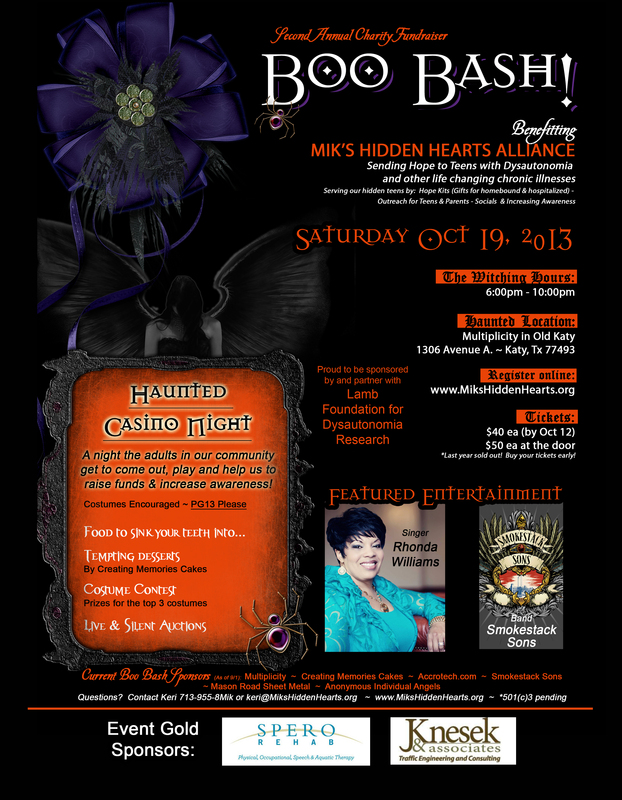 A big thank you to Lori Worley Gunn with Socially Speaking with Lori Gunn for being one of our guest judges and featuring MHHA Boo Bash in her column!